COOPERSTOWN – Elizabeth “Betty” O’Brien, a life-long area resident, passed away surrounded by her family Thursday morning, December 20, 2018, at Bassett Medical Center in Cooperstown. She was 91. Born November 4, 1927, in Bowerstown, she was one of 13 children of Orlando and Nellie Mary (Page) Bridger. In her youth she attended schools in Middlefield and Cooperstown. On May 14, 1947, Betty married Robert William O’Brien in the parsonage of the Westville Baptist Church with the Rev. Walter A. Miller officiating. For many years Betty was employed as a waitress, first at The Knox School, and later at The Short Stop Restaurant, The Doubleday Restaurant, The Red Sleigh and seasonally at The Hickory Grove. Her last job was in food service at The Meadows. A member of the Native Daughters of Cooperstown, Betty was also active for many years with the Auxiliary of the Sgt. Walter P. Eggleston Veterans of Foreign Wars Post No. 7128 in Cooperstown. Coming from a long line of card players, Betty happily continued the family tradition right up until her final days. She also enjoyed playing dominos, bowling, going to casinos and most especially taking trips with her sisters each October. Betty is survived by two daughters, Barbara A. Dickison and her partner, Roo Jorges of Cooperstown and Deborah Gentry and husband, Robert of Wilmington, Delaware; one son, Robert W. “Bill” O’Brien, Jr. and wife, Jeanne of Richfield Springs; nine grandchildren, Nellie, Patricia (Patty), Karen, Elizabeth (Beth), Keith, Christopher, Jeremy, Kelly and Laura; 20 great grandchildren; 12 great great grandchildren; five sisters, Hilda Pomeroy of Fulton, Mildred “Millie” Jennings of Cooperstown, Cora Petrucco of Cortland, Wanda Laymon of Toddsville and Lois Smith of Toddsville; and many, many nieces and nephews. 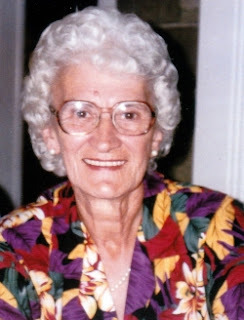 She was predeceased by her husband of 55 years, Bob O’Brien, who died April 15, 2003; a son-in-law, William S. Dickison, who died January 1, 2003; three sisters, Gladys Welch, Wilma Higgins Dyer and Evelyn Gray; and four brothers, Chester, Herman, Frederick and David. A graveside service will be held this coming Spring in Hartwick Seminary Cemetery. For those who wish to honor Betty’s life with a memorial donation, please consider the Cooperstown Fire Department, PO Box 1, Cooperstown, NY 13326 or the Cooperstown VFW Auxiliary, 60 Main Street, Cooperstown, NY 13326. Ralph James Veenema, MD, former Chief of Urologic Oncology at Columbia Presbyterian Medical Center in New York City, passed away Friday, December 14, 2018 at Covenant Village, Cromwell, CT. He was 97. Born December 13, 1921, in Prospect Park, New Jersey, he was the son of Ralph and Sadie (Van Dyke) Veenema. He had three brothers and a sister. In 1942 he received a B.A. degree from Calvin College in Michigan. It was while he was attending college that he met his wife, Henriette (Henis) E. Van der Molen. They were married September 19, 1944, in Grand Rapids, Michigan. In 1945, Dr. Veenema received his MD from Jefferson Medical College in Philadelphia, Pennsylvania, and served his internship at Paterson General Hospital in Paterson, New Jersey. In 1946 he was commissioned a Captain in the United States Army Medical Corps and served his country at Army hospitals in Alexandria, Louisiana, and Jackson, Mississippi. After receiving his Honorable Discharge from the Military in 1948, he joined the staff at Columbia Presbyterian Medical Center in New York City, where he received urological and surgical training. At the time of his retirement in 1987 he was Urology Surgical Attending at Presbyterian Hospital in New York City and was Professor Emeritus of Urology at Columbia University College of Physicians and Surgeons. Ralph and Henis retired to their farm in Deposit, NY, rom their home of 35 years in Glen Rock, NJ. ShiRaLoKen Farm was well known for its high quality Angus breeding stock, both in New York State and by the American Angus Association. The Veenemas won several awards for their farming practices and in 1992 the farm was awarded the American Angus Association Land Stewardship Award for the Eastern Region of the United States. During their years on the farm, Dr. Veenema served as an advisor in the Cornell University School of Agriculture and Animal Science. In 1997, Ralph and Henis retired from farming and moved full-time to Cooperstown, NY. They became active members of the First Presbyterian Church of Cooperstown where Ralph served as an Elder of the Church. They were also ardent supporters of Friends of Bassett Hospital, as well as the Village's museums and parks, most especially the New York State Historical Association and the National Baseball Hall of Fame and Museum. In May 2006, Ralph suffered the loss of his beloved wife, Henis, but continued to be an active supporter of Otsego Manor, especially with their weekly Chapel services. Dr. Veenema is survived by two daughters and sons-in-law, Shirley Ann and Jim Sheldon of Boston, MA and Lois Ruth and Bill Byrne of Traverse City, MI; two sons and daughters-in-law, Ralph J. Veenema Jr. and Janet of Rocky Hill, CT and Kenneth R. Veenema, MD and Tener of Baltimore, MD; 13 grandchildren; eight great grandchildren; one brother, Melvin Veenema, of Grand Rapids, MI; and nieces and nephews. A private committal service will be held for family members in Cooperstown, NY. A Service of Witness to the Resurrection and Celebration of the Life of Ralph J. Veenema will be offered at 11 a.m. Saturday, April 27, 2019, in the sanctuary of the First Presbyterian Church of Cooperstown, with the Rev. Elsie Armstrong Rhodes, pastor, officiating. COOPERSTOWN – Jane Ann Feeck Casey, of Cooperstown, died peacefully early in the morning of Saturday, December 15, 2018, surrounded by her loving family at her home of 58 years. Born June 30, 1926, at Wilson Memorial Hospital in Johnson City, Jane Ann was the daughter of W. Douglas Feeck and Ida Elizabeth Cotton Feeck. She lived in Binghamton, graduating from Binghamton Central High School in 1946. In a time when few women sought higher education, she received the degree of Associates in Science from Endicott College in 1948. Returning to her home in Binghamton she volunteered at the Well Baby Clinic, the Christopher Columbus School, was a member of the Junior League and sang in its chorus, advised teenage girls at the YWCA and was the head of the Junior Altar Guild, training young women to serve at Trinity Memorial Episcopal Church. Jane Ann married John E. Casey of Hudson Falls on April 26, 1958, at St. Thomas Aquinas Roman Catholic Church in Binghamton. She and John moved to Cooperstown after their marriage and began their wonderful life together. Jane Ann continued her volunteerism leading a Brownie and Girl Scout Troop, assisted students at Cooperstown Elementary School with reading and volunteered at the Mary Imogene Bassett Hospital. She was a 60-year member of the Otsego Chapter of the National Society Daughters of the American Revolution, serving as Regent and Chaplain. 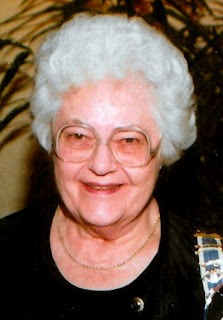 Jane Ann was also a 60-year member of Christ Church, Episcopal, serving as a member of the Altar Guild for many years. In 2008 she became a member of the Native Daughters of Cooperstown, something of which she was very proud. Jane Ann was predeceased by her parents, her husband of 48 years, John, and daughter Ann. She is survived by her daughter-in-law, Dana Casey-Wagemaker and grandchildren Emily, Sarah, Andrew and Catharine of Niskayuna; a son, George and his wife, Dorothea Casey and grandson Michael of Greenwich; and cousins Harold Brayman (Marita) of Naples, Florida, Walter Brayman and George Osborne (Jeanne). Friends are invited to pay their respects to the Casey family at Jane Ann’s beloved home at 3 Elm Street, Cooperstown from 4-7 p.m. on Friday, December 21, 2018. The Office of the Burial of the Dead with Holy Eucharist (Rite I) will be offered at 1 o’clock in the afternoon of Saturday, December 22, 2018, at Christ Church, Cooperstown, with the Rev’d Dane E. Boston, Rector officiating. The Committal Service and inurnment will follow at the Ecumenical Columbarium in the Church-yard at Christ Church. A reception will follow. In lieu of flowers, the family requests that you consider donations in Jane Ann’s memory to the Otsego Chapter NSDAR in care of Nanette Root, Treasurer, 151 Lippitt Development Road, Cooperstown, NY 13326, or Christ Church, 69 Fair Street, Cooperstown, NY 13326. 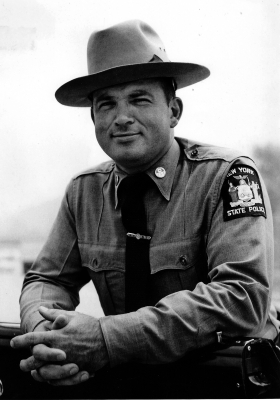 COOPERSTOWN – James Elwood Jackson, a retired New York State Trooper and World War II veteran, passed away Saturday night, December 8, 2018, at Cooperstown Center for Rehabilitation and Nursing. He was 93. Born February 15, 1925, in Endicott, he was the only child of Raymon James Jackson and Elizabeth J. Cass Jackson. Immediately after graduating from Owego Free Academy, James enlisted in the United States Navy and proudly served his country during World War II, first aboard a merchant marine vessel and then on a battleship. Upon receiving his honorable discharge from the military, James returned home and entered the field of law enforcement. 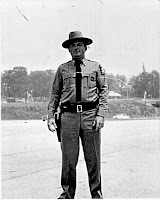 He first served with the Owego Police Department, and then in 1956 he entered the New York State Police Academy. He went on to serve as a New York State Trooper with Troop C in Richfield Springs until his retirement. After living in Toddsville, he moved to Apalachin where he made his home until his recent illness. For many years, James was a member of the Sgt. Walter P. Eggleston Veterans of Foreign Wars Post No. 7128 in Cooperstown and served as Commander from 1969-1970. Through the years he was also active in the Masonic Fraternity. Raised on April 19, 1950, in Friendship Lodge No. 153, Free & Accepted Masons in Owego, he affiliated in 1965 with Otsego Lodge No. 138, F. & A.M. in Cooperstown, and served that Lodge as Worshipful Master in 1972. He will be greatly missed by his family, which includes a daughter, Sherry L. Bass & husband, Christopher, of Christian Hill, Cooperstown; two sons, Raymon J. Jackson of Apalachin and Mark Jackson and Karla Harding of Speedsville; two grandchildren, Jillian Elizabeth Bass and Adam Jackson; four great grandchildren, Michael Samuel Bass, Aiden James Field, Gabriel Franklin Field and Jace Eric Field; and his former wife, Phyllis Higgins Estes and husband, Steven of Oneonta. He was predeceased by his father, Raymon James Jackson (September 1931); his mother, Elizabeth J. Talbot (March 13, 1974); his stepfather, Donald R. Talbot (January 25, 1976); a 6-year-old son, Michael John Jackson (April 25, 1966); and a granddaughter, Jessica Kendra Bass (July 10, 2002). 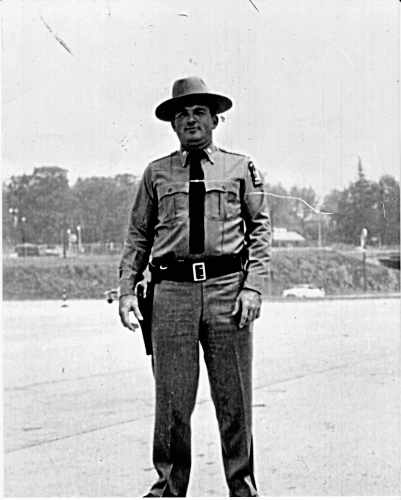 Accompanied by a New York State Trooper Honor Guard, Military Honors will be accorded next Spring on Saturday, May 18, 2019, when James will be laid to rest with his mother in the Fly Creek Valley Cemetery in Fly Creek. For those who wish to honor James’ life, memorial donations may be made to Catskill Area Hospice and Palliative Care, 297 River Street Service Road, Oneonta, NY 13820 or the Cooperstown Fire Department, PO Box 1, Cooperstown, NY 13326.